We were very fortunate when about ten years ago Samovar Tea Lounge took up residence a couple of blocks from our home. I was working on a large writing project at the time and spent hours in their shop burning through notebooks fueled by their Masala Chai. It is made with whole milk so it is wonderfully rich, and unlike a lot of other chais that are intensely sweet or overly spiced, Samovar’s is just… perfect. A detailed explanation of their process can be found here. 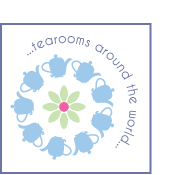 I can’t leave Samovar without losing myself for a moment in the shelves of teaware and teas in their pretty little containers. 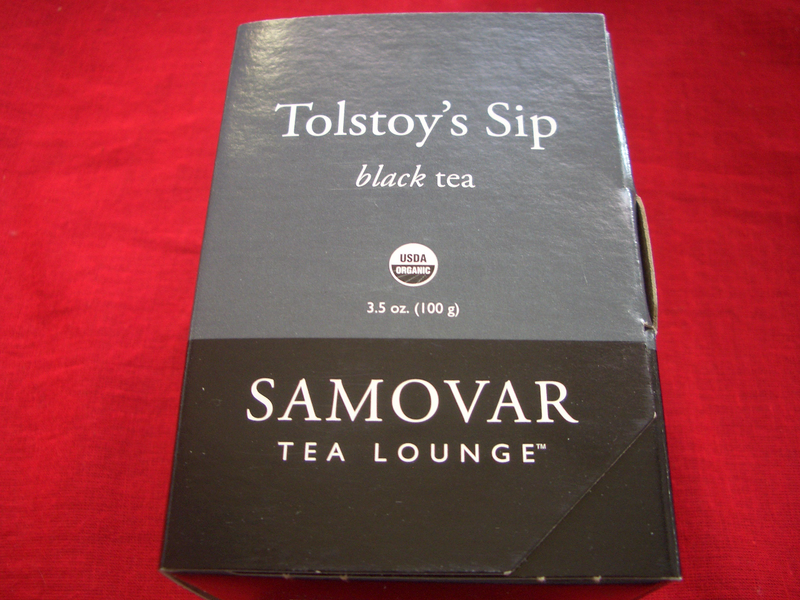 Tolstoy’s Sip is a tea I’ve looked at many times. My husband gave me a box for Christmas and so here we are. A general note on their teas… Years back I remember listening to a man at the counter having a friendly argument with the cashier about the price of a canister of tea. He had purchased the same tea on his last visit but it cost significantly less–the canister was obviously mislabeled. The cashier, with a smile, pointed out the previous canister was the one mislabeled and he should count himself lucky to have acquired something so precious for so little. I remember the look on the man’s face. The price of the tea was steep, which gave him pause, but he kept saying over and over, “It’s the best tea I’ve ever had.” Their teas are like that. You can tell, like with great wine or coffee, how much thought has gone into them–the selection, the blending–and they’re not all expensive. Many are quite reasonable. And a little tea can go a long way. 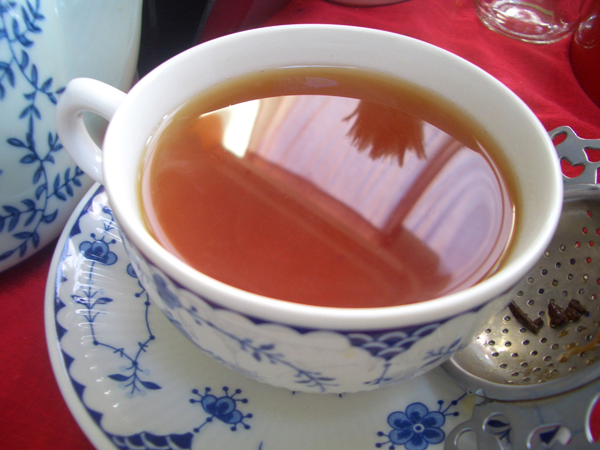 As you’ll see from the preparation of Tolstoy’s Sip, three tablespoons can provide three hours worth of tea drinking. All can be mail ordered, but if you live anywhere near San Francisco, it’s worth a visit. Their menu goes way beyond the typical tearoom fare; it’s diverse and delicious. Tolstoy’s Sip is a blend of organic black tea and bergamot oil. 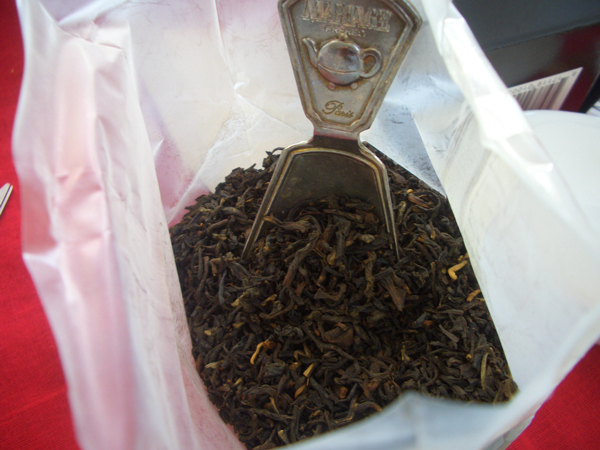 When you first open the bag, you are hit with the aroma of smoked tea. 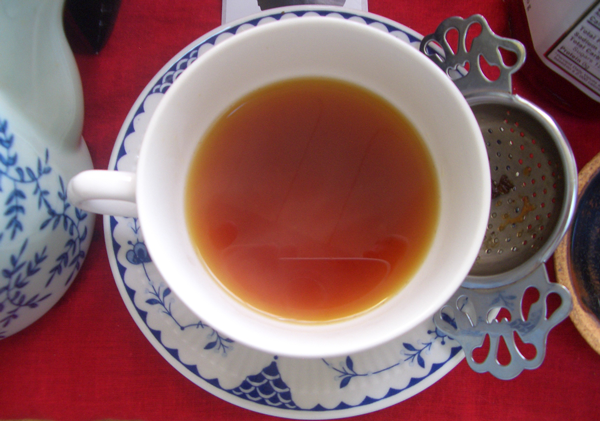 Once brewed it is a deep amber color, a bracing tea with more fruit than smoke. It is a good companion on a cold winter’s day. It is also a great foreground tea. What I mean by that is, it is a tea that will be talked about as opposed to fading into the background as just something to drink. 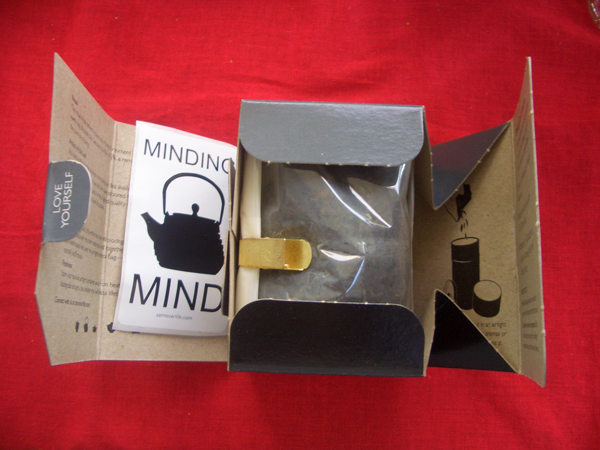 Not pretentious, but a smile-inducing curious tea whose qualities truly suggest you take a moment to think instead of rushing on to the next worry. It stands up well to any food, but you should have at least one sip before eating anything so you can appreciate the flavor on its own. “In the name of God, stop a moment, cease your work, look around you.” -Leo Tolstoy To make the tea: You are going to make a concentrated tea (zavarka) and dilute it with hot water (kipyatok). I used a small teapot, about 14 ounces. If using a larger pot, don’t fill it the whole way. Though the jam is optional, it is traditional and really makes the cup. It is not overpowering, but simply adds a light fruity note to the tea. 3 Tbsp. (45ml) Tolstoy’s Sip Organic Black Tea or other Russian loose tea such as Russian Caravan which is usually a blend of Lapsong Souchong (a strong, smoked tea) and other China black teas 2 Tbsp. (30ml) Strawberry Jam 1. Boil your water. 2. Rinse your pot with the hot water. Add the tea to the heated pot. Cover and let the leaves steam for about 10 seconds. 3. Add boiling water to the leaves. Add the jam and give it a good stir. 4. Steep for 15 minutes. 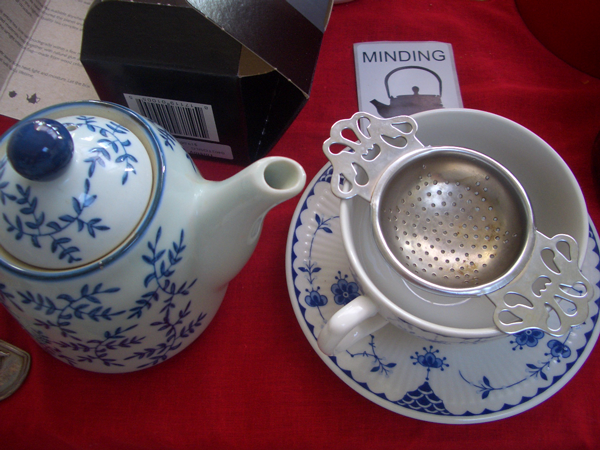 To serve: Add equal parts tea concentrate and hot water to each teacup. You can add additional sweetener if you like, but I don’t think you’ll need it. As for milk, I found it dulled the taste of the tea. Note: You can use the same leaves for up to three hours. Leave half the tea concentrate in the pot, add more jam and hot water, steep, etc.